Click on Logo for more Society "stuff"
"Outeniqua Choo Tjoe" NOT Opreating due floods !!! 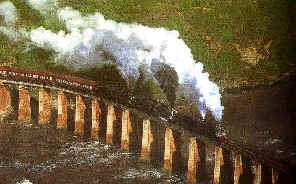 Brief Introduction to the "Outeniqua Choo Tjoe"
The "Outeniqua Choo Tjoe" in action ! 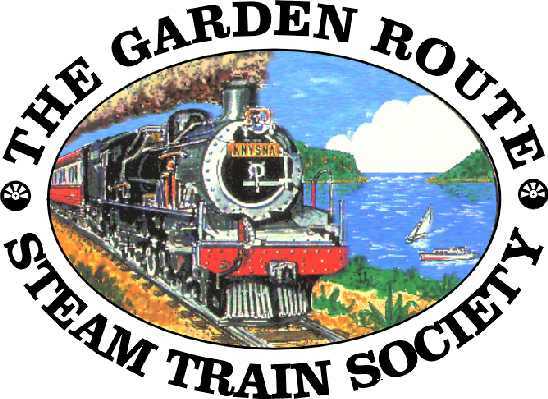 The Outeniqua Choo Tjoe is the steam hauled train which operates on the Outetiiqualand Preserved Railway between George and Knysna in the heart of the world famous Garden Route. During the peak tourist seasons the train is usually run as a passenger train, but during off peak the trains also convey freight. 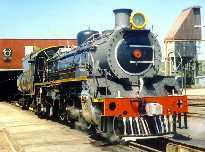 You are invited to spend the day reliving the past by travelling on the Outeniqua Choo Tjoe, a mode of travel which was used to develop this, and many other countries of the world. 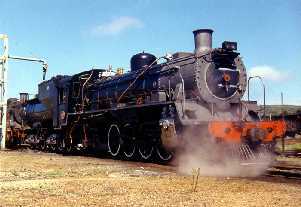 The locomotives most commonly used on the line are class 24, and class 19D (placed in service between 1937 and 1948). 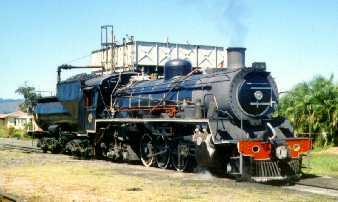 However, other historic locomotives dating from as early as 1928 can also be seen on the line. They also use classes 7A 7B. GB. I4CRB. GMA, GMAM and 19C. Class 32 diesel locomotives are also used to haul heavier freight trains on the line. Carriages used on the Outeniqua Choo Tjoe date from 1913 to I950 and are all of the suburban side-door type, typical of those used on branch lines in the past. 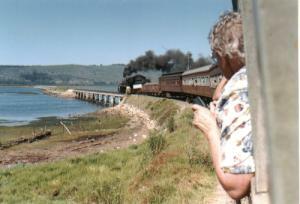 Light refreshments are available on the train, and souvenirs and memorabilia may he purchased at Knysna station. 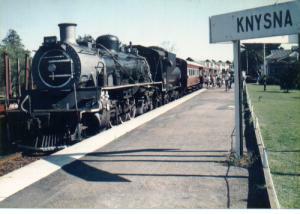 A visit to the new Railway Museum at George Station is a "must" for all steam enthusiasts. Kindly note that smoking is not permitted on the trains.